We still have standing room tickets available! Live chamber music...for a great cause. 100% of ticket sales goes to animal welfare. Can't attend? Donate to animal charities here! Artists for Animals is a 501c3 non-profit organization of devoted artists who are dedicated to providing funding to animal rescue charities in our area (Dallas). 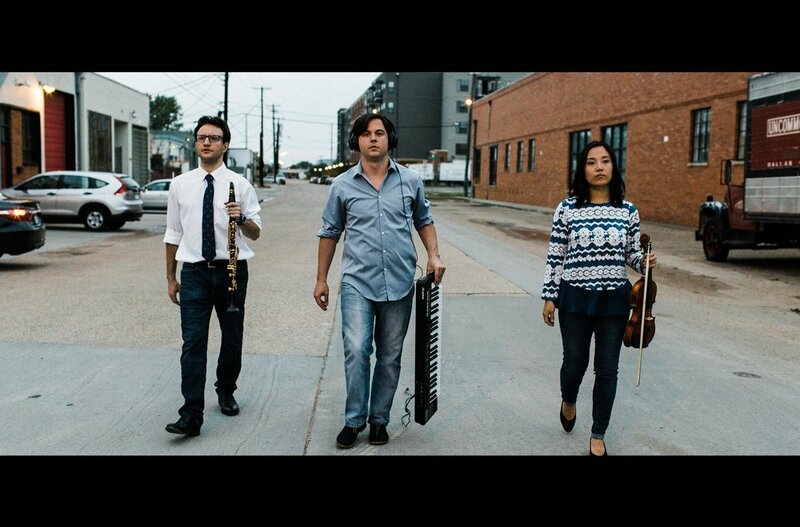 Trio Kavanah is an energetic chamber music ensemble--clarinet, violin, and piano--whose mission is to bring classical music to everyone. Kavanah is the Hebrew word for intention of the heart. Members Grace, Trevor, and Danny are from completely different backgrounds (South Korea, Texas, and NYC), but they share a strong belief in the power of classical music and live performance. Recent shows include Hamon Hall at The Winspear Opera House, a guest recital at University of North Texas, and a Steinway Hall concert tour. In October they travel to NYC for the 2018 Concert Artist Guild Competition Semi-Finals. Concert located on the geo-deck. Come early enough to see the sunset! Click for live tower cam. For more information, visit the WE SUPPORT page. Samsung will be on-site with Samsung GearVR virtual reality headsets. Experience Reunion Tower + classical music in 360 degrees. The event will also be filmed in 360° Video and Surround Sound by Samsung VR using state-of-the-art technology. Full bar and concessions available. Outside geo-deck will be available for open-air viewing. Touch screen interaction with Dallas skyline and tower cameras.